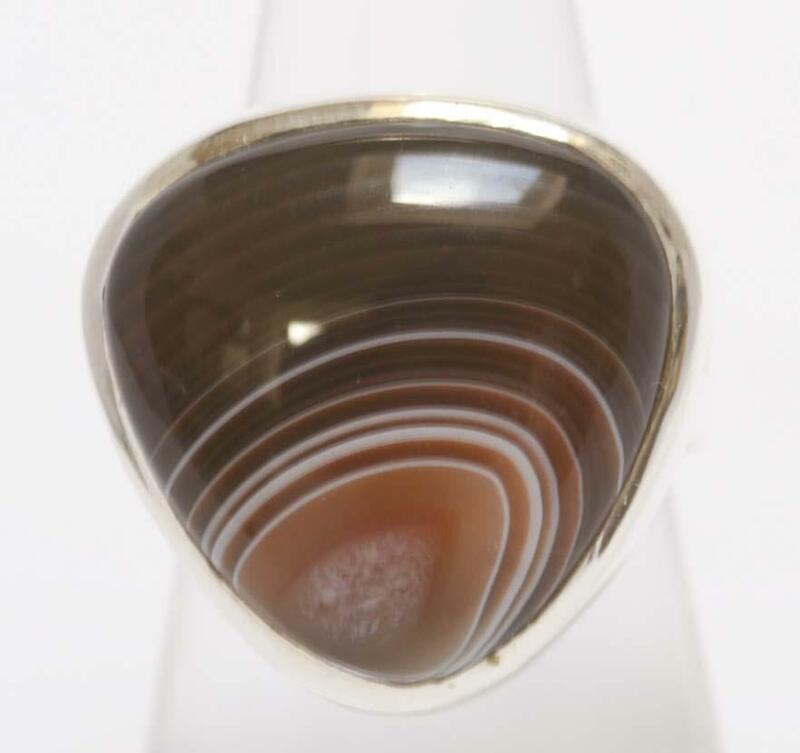 This brown/orange/white banded botswana agate cabuchon set in sterling silver is adjustable upwards from a size O. Clean jewellery regularly with a silver polishing cloth to prevent the build up of damaging tarnish. This stone can be wiped clean with a damp cloth.